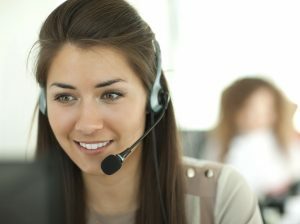 https://3ccontactservices.com/what-is-the-difference-between-inside-sales-and-telemarketing/ What Is the Difference between Inside Sales and Telemarketing? Steven 3CContact Services 2016-11-08T00:00:20Z 2016-11-08 22:38:22 Blog Array What Is the Difference between Inside Sales and Telemarketing? If you are not a part of the call center industry, you may not even know that there is any difference between telemarketing and inside sales. If you’ve ever received a phone call at dinner time trying to sell you a product or sign up for a service, you probably don’t have the patience to make the distinction. But the reality is that there is a significant difference between the two. In this article, we’ll breakdown inside sales vs. telemarketing to make it clear. If there is one word that can be readily associated with telemarketing, it’s random. Telemarketing is defined by its random approach to sales. Telemarketers simply play the numbers game and purchase lists of phone numbers without any thought behind who will be on the other end of the call. The only part of telemarketing that isn’t random is the fact it operates primarily from a script. No matter who they are speaking to, a telemarketer will read his or her script to make the sale. And they typically do so in a more aggressive nature because they know their chances of successfully converting a phone call into a sale are slim. Any kind of knowledge of sales is not necessary in order to be a telemarketer. If you can use a phone, then you’re basically hired. The goal is really not based around knowing how to build a rapport with the customer. It’s based on pushing for a sale; if nothing is there then the telemarketers are to move on. What Is Inside Sales Service? One of the first major points about an inside sales rep that differs from a telemarketer is that inside sales reps generate their own leads. They prepare by putting in the time and research each of their prospects diligently before ever making a call. Inside sales reps aren’t simply cold calling random numbers from lists. They are taking the time to build rapport. They know from before ever engaging with a prospect that there is a good chance this person can utilize the service or product they will propose. But that doesn’t mean they just rush to pitching right away. They take the time to build the trust before making any type of offer. There is no script for inside sales reps. They base their conversation on the research they have put into selecting this prospect. They have likely been nurturing this prospect over a period of time and have gone through several touch points. By the time it’s time to convert, the inside sales rep is explaining to the prospect how to solve a problem or need they are certain the prospect has. The tone of the conversation is completely different. There is almost no comparing telesales vs. inside sales. The difference is truly night and day. Inside sales reps are experts whose preparation and research is what really separates them from a simple telemarketer. 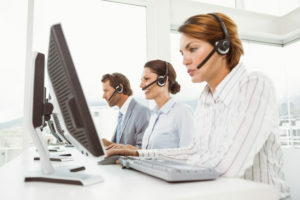 As the leading provider of outsourced call center solutions, 3C Contact Services teaches its partners the necessary customer service skills needed to engage and retain customers and clients. If you are looking to work with sales reps who are trained and take a strategic approach to engaging prospects, then call 3C Contact Services today at 1-888-353-2335.